While it may sound like the kind of parody you would read in The Onion, Vidal Sassoon (yes, THAT Vidal Sassoon) was actually an accomplished street fighter who fought in the streets against British fascists and later on served in combat in the Israeli army. Sassoon was born into crushing poverty in Hammersmith, London, the son of Sephardic Jews. His father was a womanizer who eventually abandoned his family. His mother not being able to afford to take care of her children because of her meager sweatshop wages put him and his brother into an orphanage where we lived for six years. After being taunted at school by gentiles who called him "Yid" and other pejoratives, and being a terrible student, Sassoon quit school at fourteen. While he dreamed of becoming a professional soccer player, he instead began to apprentice as a hairdresser after his mother had vision of his future. In 1947, Sassoon joined an organization called the "43 Group" who battled British fascists led by Oswald Mosley. While his days were spent as an apprentice hairdresser, at night he took part in breaking up fascist rallies. Sassoon was the youngest to join the group of mostly Jewish British former service men, and he was known as an "enthusiastic street fighter." In 1948 at twenty he joined the Haganah (the precursor to the Israeli Defense Forces) and fought in the Israeli War of Independence. In the 1960s he became an icon of "swinging London" and was credited with popularizing the simple, "wash-and-wear" haircut. He went on to become famous and fabulously wealthy and the rest, as we say, is history. 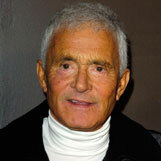 Sassoon was appointed Commander of the Order of the British Empire (CBE) by Queen Elizabeth II in 2009. Meyer, Daniel. "Vidal Sassoon - Anti-Fascist Street Fighter." J-Grit: The Internet Index of Tough Jews. J-Grit.com. Apr. 2019 <http://www.j-grit.com>.